What's the Best Substitute for All-Purpose Flour? When it comes to flour, one of the questions people frequently have, especially in places other than North America, is about all-purpose flour, specifically, what can be used in place of all-purpose flour since it's a product that isn't available everywhere in the world. 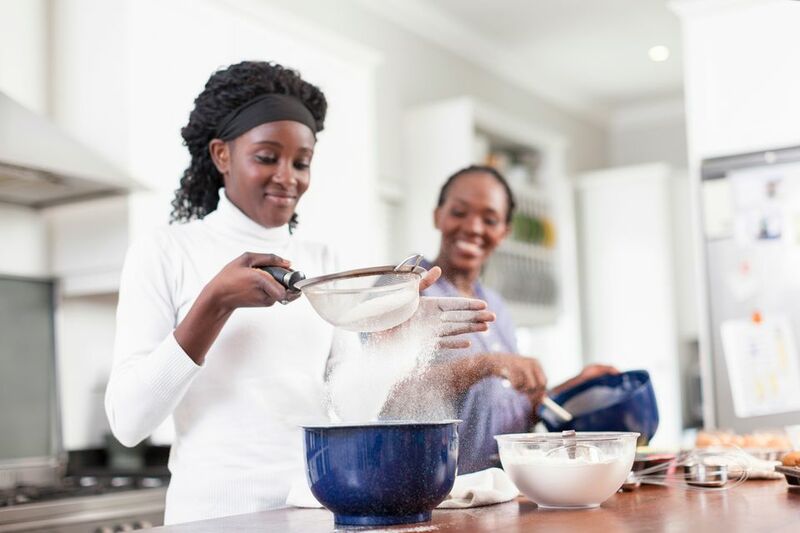 In some countries, you might be able to find bread flour, cake flour, and maybe self-rising flour, but not all-purpose flour. And yet a vast number of recipes call for all-purpose flour. What's a person to do? Different kinds of flour exist for different purposes. For crusty breads and pizza, you want a strong flour with a high gluten content. For soft, tender cakes and pastries, cake flour, which is lower in gluten, is the way to go. For making pasta, you want even harder flour. Note that in some cases, as with durum, which is used for making pasta, it's a different strain of wheat altogether. Hard wheat and soft wheat are generally the same strain, but are planted and harvested in different seasons. So-called winter wheat is harder, and used for bread flour. Spring wheat is softer and is used for cake flour. Now, all-purpose flour is a blend of hard and soft. The idea is that it's hard enough to use for making bread but soft enough to use for making cakes. It's not the ideal flour for either one, but at least you don't have to keep multiple bags of flour in your pantry. Another thing about all-purpose flour is that a cup of it weighs 130 grams. Which is to say, 130 grams of it is what a recipe is asking for when it specifies one cup. So, to substitute for all-purpose flour, you'd combine about 70 grams of bread flour with about 60 grams of cake flour. That will produce the middle-of-the-road compromise of all-purpose flour. And in the majority of cases, that's what you want to do. After all, one of the most common baking mistakes is failing to follow the recipe. So if a recipe calls for all-purpose flour, the aforementioned alternative will achieve that aim. But in another sense, it depends on what you're making. Remember that all-purpose flour is a compromise. Which means you might well not want to use all-purpose flour after all. For instance, if you're making bread, hard rolls, pizza dough or other tough, crusty products (and also pasta) maybe you want to use bread flour. For cakes, pies, cookies and any other pastries (including pancakes, muffins and other quickbreads), maybe you want to use cake flour. Obviously, substituting ingredients is going to void your warranty on that recipe. But if you want to go ahead, don't simply substitute a cup for a cup. This is actually one of the important issues in the world of baking. Professional bakers don't measure flour in cups—that's way too imprecise, and leaves room for all kinds of errors depending on whether the flour is scooped out, spooned out, sifted, unsifted, and so on. The only way of ensuring a recipe's accuracy is to measure the flour by weight. And crucially, bread flour and cake flour have different weights. So measuring by cup means you could wind up using too much or too little flour. How you scoop flour into a measuring cup can lead to too much inaccuracy, so it's always your safest best to measure flour by weight and not volume. Fortunately, a gram is a gram is a gram. So if a recipe calls for a cup of all purpose flour, and you're substituting cake flour, simply weigh out 130 grams of cake flour. Using bread flour? Just weigh out 130 grams of bread flour. It won't matter whether one or the other turns out to be more or less than a standard cup. It's the weight you're after. Unsalted Butter Substitutes: You Can Use That Salted Butter!